Personally I have decided to resume my experiments with Game Maker, a game-development software I used to experiment with during high school. In time, I aim to proceed into using more powerful and open-source SDKs. Still I like using tools I am used to, and Game Maker will do for now. 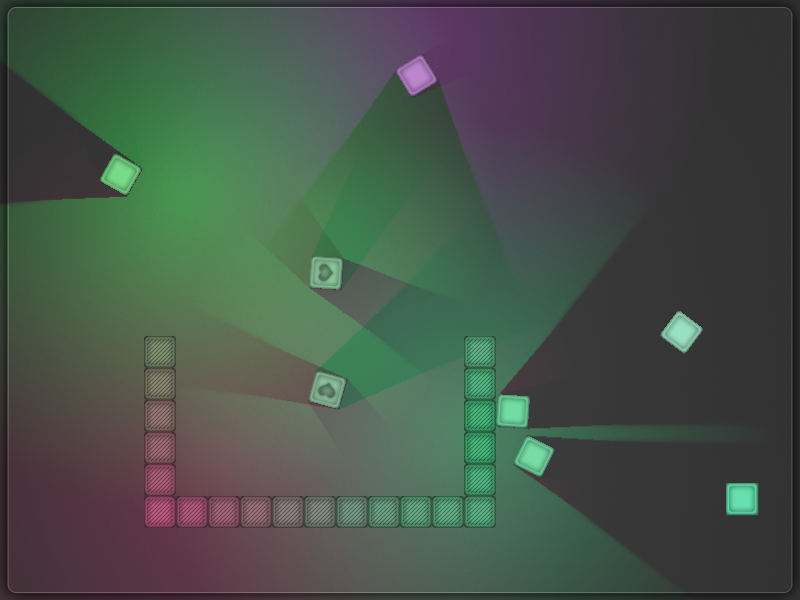 As a first concept, I decided to attempt making a physics-based puzzle game. 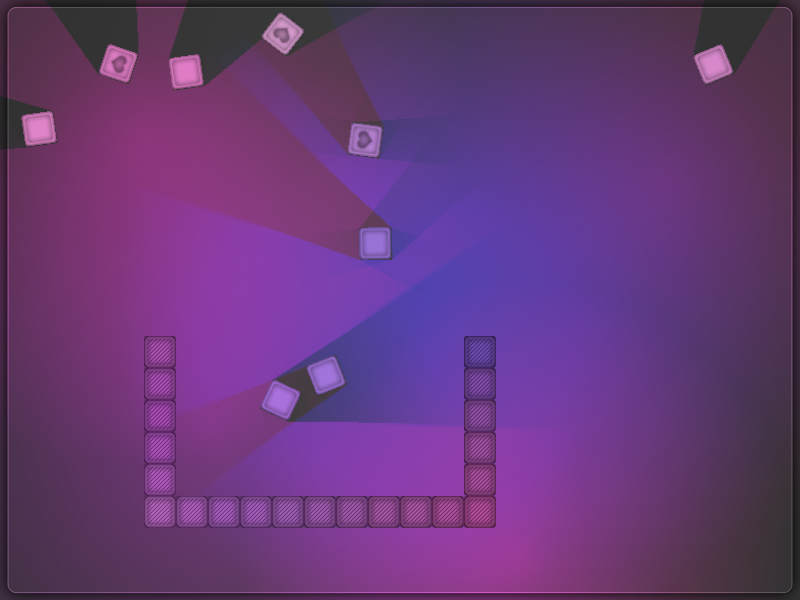 The game will consist of mini-puzzles made up of blocks. 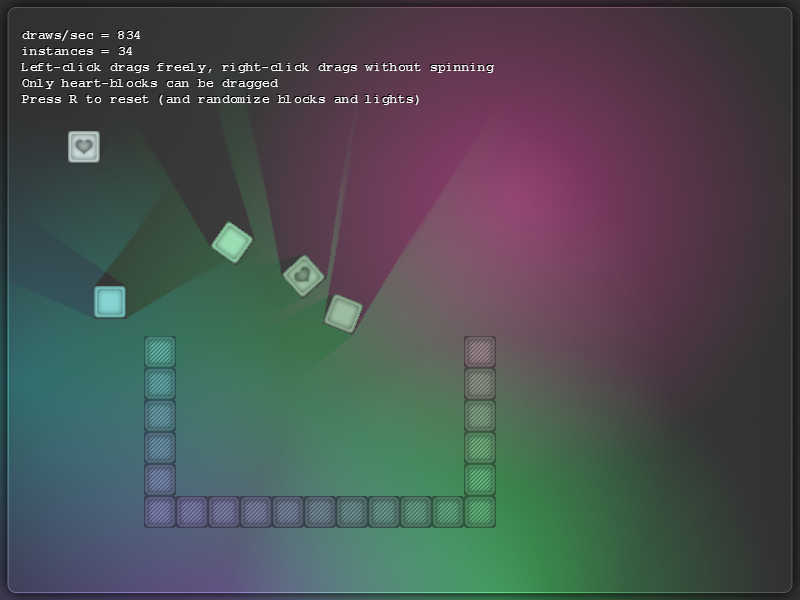 Player must move the blocks under given rules and limitations so as to solve the puzzles. The game is being based on ExtremePhysics, and includes a lighting engine by MasterXY. After two days of free-time working, the game has reached a very initial stage of working physics and lighting, but there are no game mechanics yet (just draggable blocks). You can download and see this initial progress here. Further progress with be announced in following posts, so check back soon.